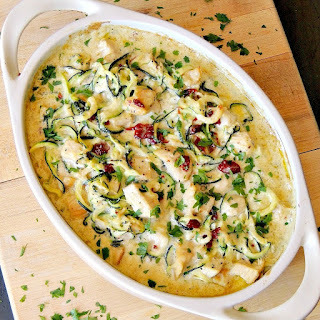 Chicken Alfredo Zoodle Bake - Throw away those old notions of comfort food because this dish is easy, and healthy, and will have you thinking you have been doing it wrong all along. Can I just tell you that my garden has been amazeballs this year? Between a ton of tomatoes, green beans, and zucchini, I have had veggies coming out of my ears! Hmmm does anyone know where that saying comes from? Coming out of my ears? It is pretty strange if you really picture it. Me with two big ol' zucchini sticking out of my ears? Weirdness. But hey, it gets the picture across right? Anywho, my lil' ol urban garden brings me so much joy. First of all, it made it possible for me to create this deelish Chicken Alfredo Zoodle Bake, and secondly, it gives me the opportunity to feed the gang fresh veggies. Between MPP (Miss Picky Pants) living with us again, and the G-baby learning to eat whole foods, it is super important to get the good stuff in their bellies, which can be tough sometimes. 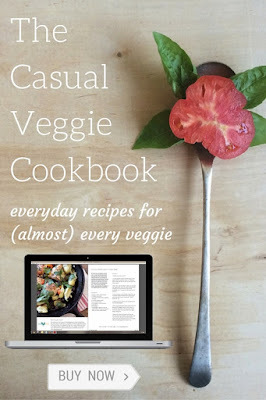 When the people you cook for are craving comfort food, and you are trying to cook recipes that are lighter, that incorporate seasonal produce, and are better for them, it tends to make you really have to think outside of the box. I mean I can't just fall back on my old standby of pasta loaded with heavy sauce and a ton of cheese right? Cooking with quality ingredients is so important to me, and this recipe starts with Foster Farms® Simply Raised Chicken. Y'all know that I buy antibiotic-free or organic poultry and meat whenever possible at my local Albertson's store. 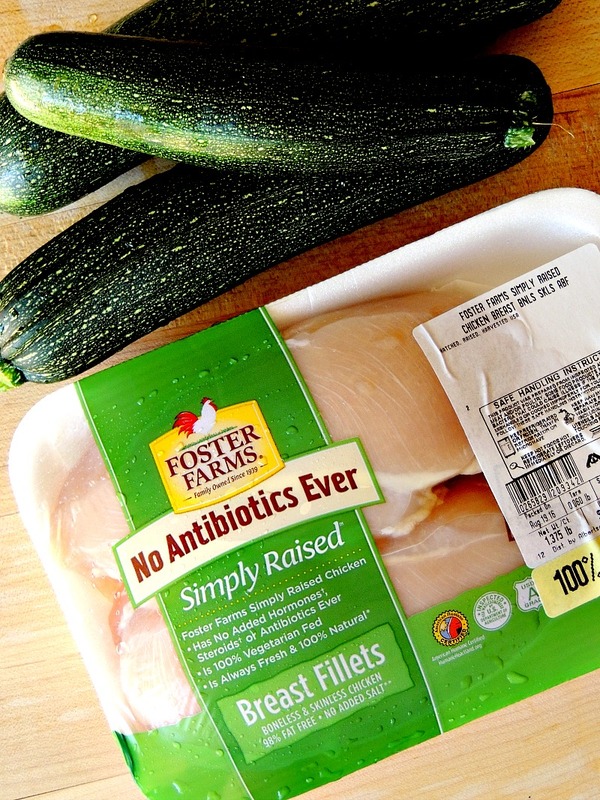 Between all of my crazy allergies, and just wanting to know what's in my food, antibiotic-free chicken is just a no-brainer for me. Plus I like that Foster Farms® Simply Raised Chicken is grown in California, fed a vegetarian diet and is American Humane Certified. I used boneless skinless chicken breast for this Chicken Alfredo Zoodle Bake and used my cast iron grill pan to cook it until it was golden brown on the outside, and perfectly juicy on the inside. While the chicken was cooling, I whipped up a batch of my Lightened Up Alfredo Sauce. Once that was done, it was just a matter of chopping the chicken into bite-sized pieces, tossing everything together in the Alfredo sauce, and getting it into a casserole dish to and into the oven. How's that for easy peasy? 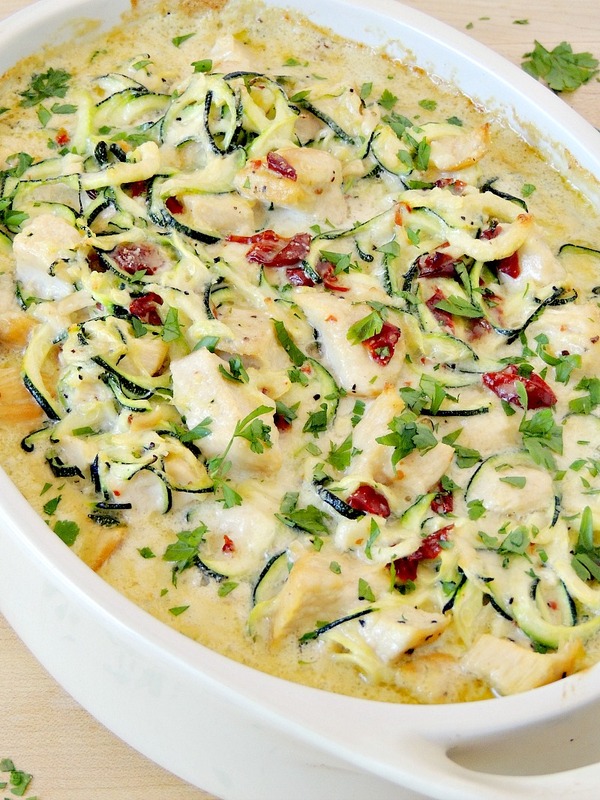 The result is a beautifully creamy "noodle" dish that your whole family will enjoy. What is going on here people? They love cauliflower rice, and now zoodles? I think we have discovered a whole new definition of comfort food! 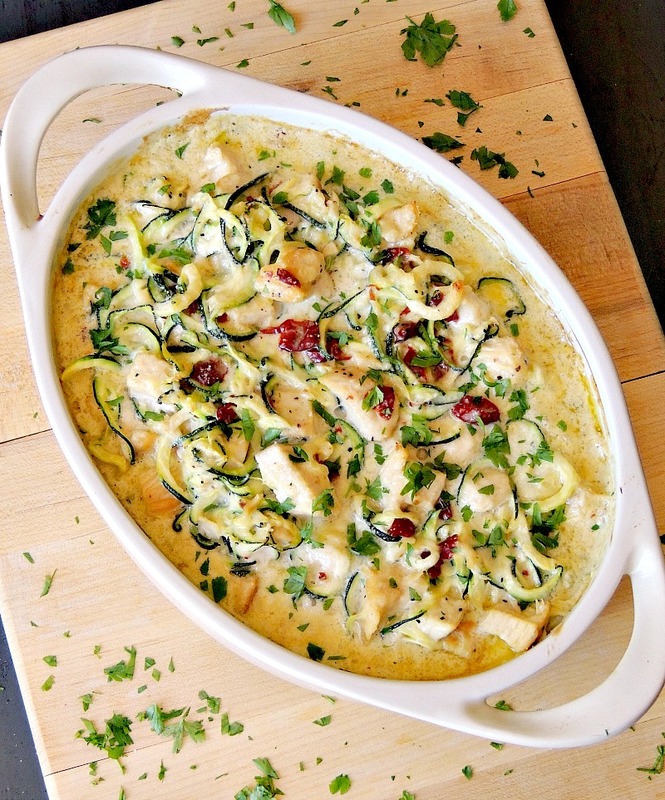 This Chicken Alfredo Zoodle Bake is full of bites of juicy chicken, grilled to perfection. 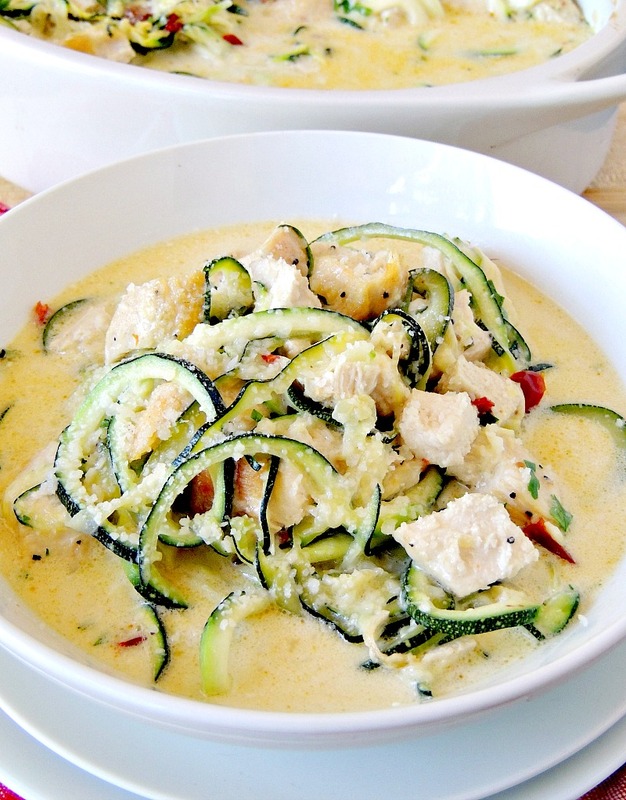 Then combined with a quick and easy Alfredo sauce, sweet, chewy sun-dried tomatoes, and tender zucchini noodles, all topped with a sprinkle of parmesan cheese. This post is sponsored by Foster Farms® Simply Raised Chicken. Thank you for supporting the brands that make Bobbi's Kozy Kitchen possible! Omg can we say yum?!?! I'm always looking for new chicken recipes!!! Bobbi, only you can zoodle with the best of them! Awesome recipe! This looks amazing! I might even be able to slip it past my pasta loving husband! Sharing! Thanks Loriann :) I was shocked that my pasta lovers have now gotten on board the zoodle train! This sounds really good! I have been trying to cook healthier, too. I haven't convinced myself to buy a spiralizer yet, but this might do it! I just bought some sweet potatoes to make "voodles" with. I am loving my spiralizer!! This looks simply awesome! Can't wait to make it! I've pinned it for later! Yay!! I am soooo happy that you liked it! 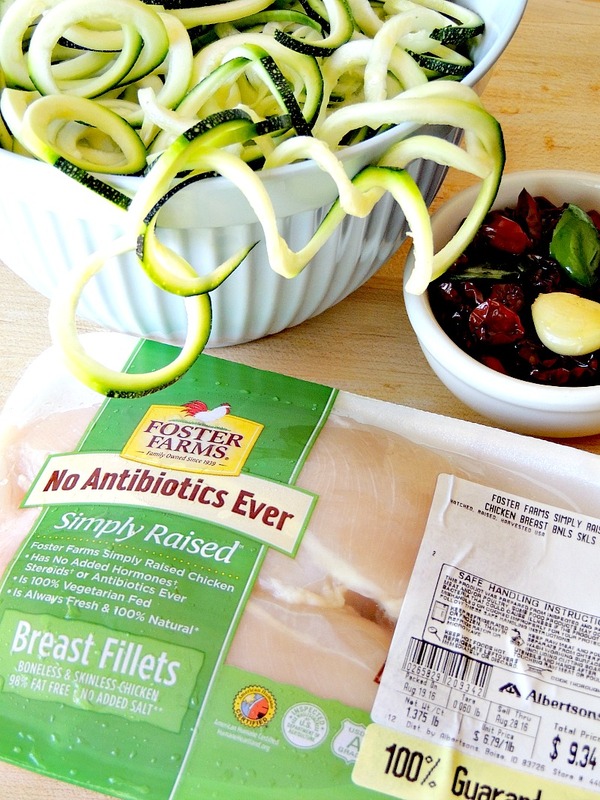 Yes, we only use Foster Farms chicken :) I hope you enjoy this recipe! Thanks! 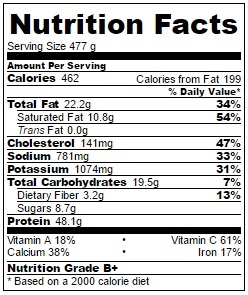 I don't think it has a strong zucchini taste, or course I do love zucchini. But my daughter loves this, and my boyfriend said he would easily replace pasta with the zoodles. I have been experimenting with zoodles recently. This so much better than anything I've ever made with them! Yum! It looks nice and creamy. 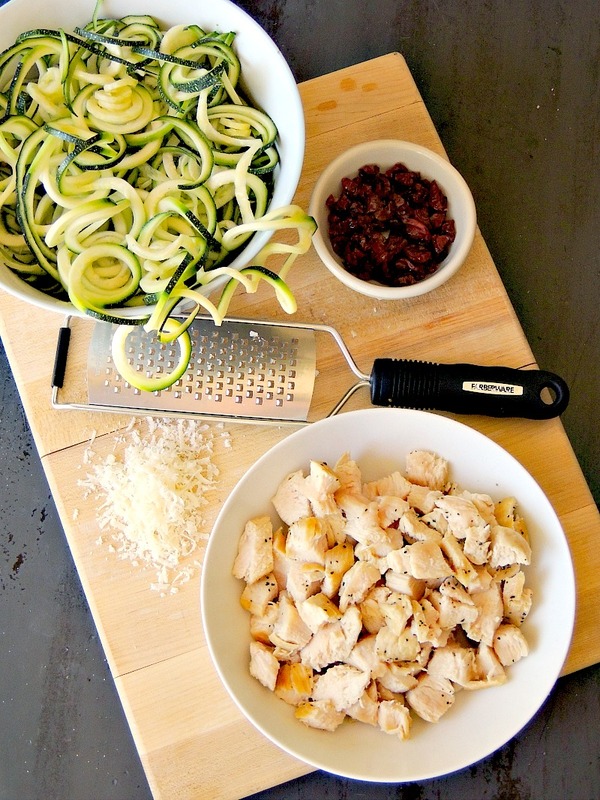 Love to use my spiralizer - No zucchini though . Wonder if I could exchange zucchini for carrots . Oh my goodness...YUM! I want some of this right now! It looks so delicious! Oh my goodness, does this dish look sensational! I can't wait to make this in the very near future. The perfect Fall comfort food! 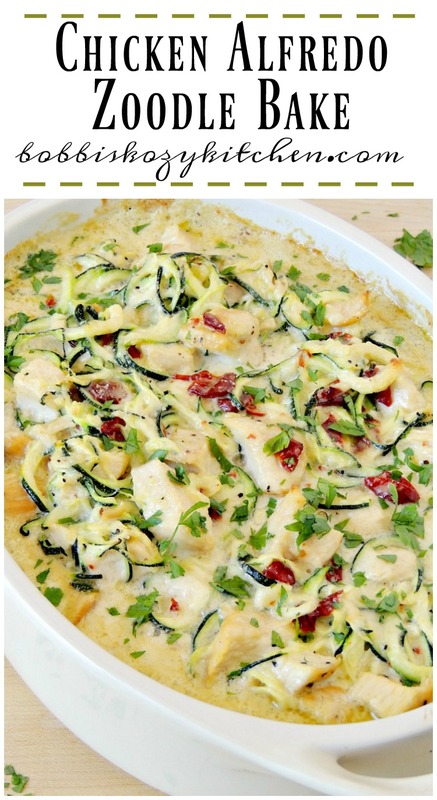 This looks so delicious and healthy, I need to try this pinning it for later. What a beautiful healthy dish! I love zoodles but haven't done a bake with them yet. Such a great idea! I finally got my husband on board with zoodles so I CAN NOT WAIT to try this out!! I LOVE this recipe! It's the first zoodle recipe I've tried and it's delicious and the texture of the zucchini is perfect. But it comes out of the oven kind of watery. I think the liquid is coming from the zucchini. Am I doing something wrong?